About 18 miles from the Zocalo as the crow flies from the center of Mexico City, is my home for the month. A short, if convoluted ride on three of the city’s metro lines (for about 30 cents) takes you to Buenavista Station. Dating to the 19th century, this was once the main inter-urban train station in the city, before national passenger service fell by the wayside in the wake of the rail privatization. It’s much more a mall than a train station at this point, though it remains my entry point into and out of the city proper, as it does for thousands each day. From Buenavista, a forty minute ride on the Tren Suburbano (for about a dollar) takes you far to the north, across the border between the capital’s Federal District, into the adjacent State of Mexico and finally to the station at Cuautitlán. Again, more shopping center on stilts than transit terminal, Cuautitlán station sits above the freight trains, the Suburbano, and a staging area for a small flotilla of shared van-buses, or peseros. For another 40 cents, you can find a small piece of seat cushion in one of these peseros to carry you home to outlying points even further north. The walk from the station to my home is only about 40 minutes, but in the face of a wall of freight tracks, narrow-to-disappearing sidewalks, and a simple, if unquantifiable feeling of unfriendliness to pedestrians, most seem to elect to ride the bus. My bus drops me off about 10 minutes later right in front of my house; there are no official stops, and they’ll drop you more or less where you need. The neighborhood—really a subdivision, or fraccionamiento—is called Galaxia. I’m not sure why, yet. 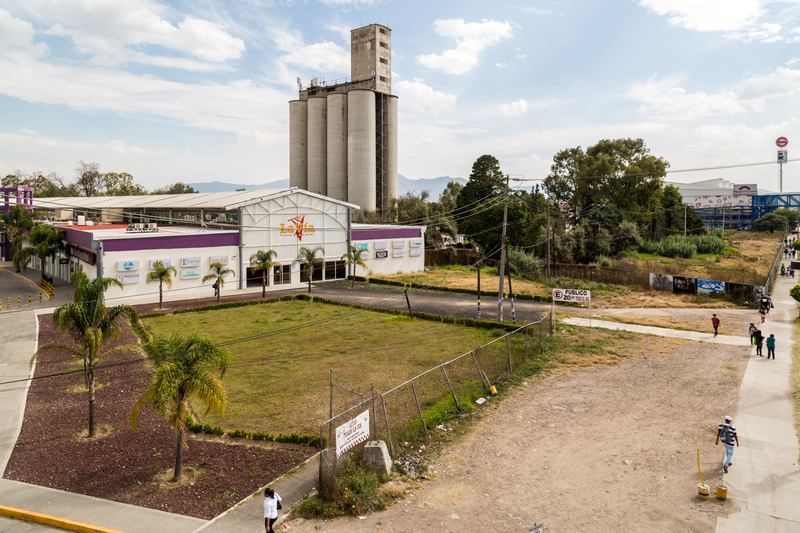 There’s nothing spacey about it, and the homes here aren’t so dissimilar to those in the more historically branded Haciendas Cuautitlán, the next development over, or the generically styled La Guadalupana to the other side. (The gated community down the road, “La Toscana,” is still selling allegedly-Italianate homes, if anyone is interested.) 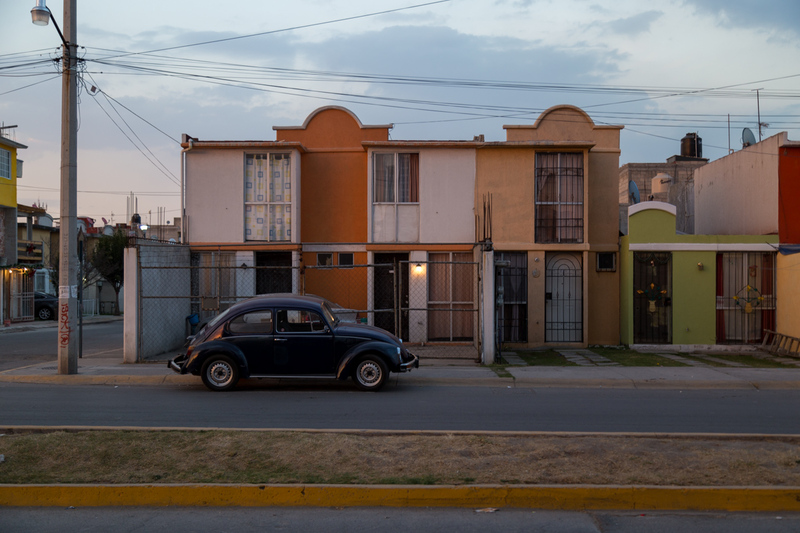 Developed as whole units by large development companies like Casas Geo or Consorcio Ara, the homes are repetitive, each entire neighborhood made up of only one or two designs. Still, the fanciful name of my own neighborhood means that the peseros to my development have a nice little star on the sign designating its destination. Not that there was ever much of a chance of innovative design in the budget. 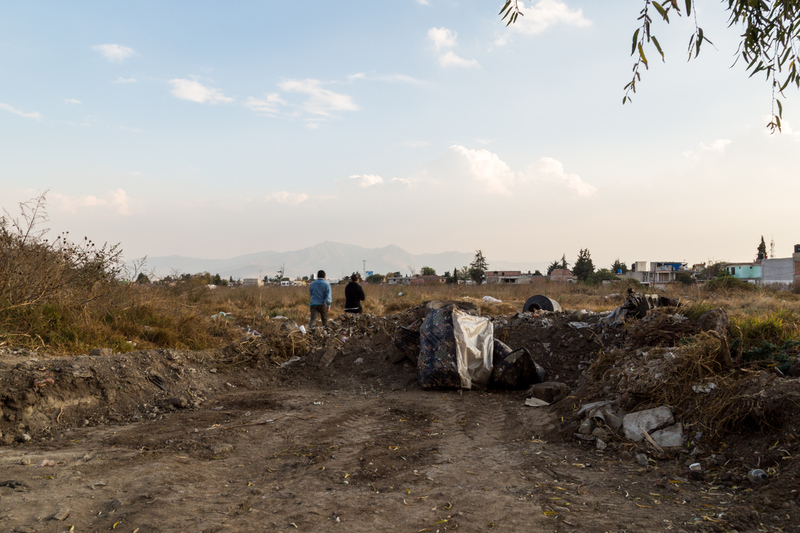 Construction of the homes, and some of the funds available to help purchase them are provided by the federal agency Infonavit—the Insituto del Fondo Nacional de la Vivienda para los Trabajadores, or the National Institute for Workers Housing. 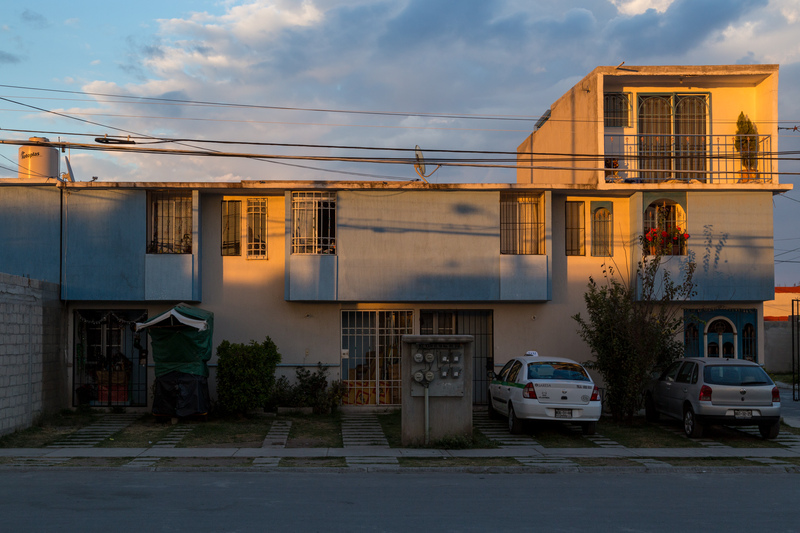 Using tax revenue, Infonavit guarantees millions of mortgages throughout Mexico—some 70% of all housing loans in the country—and has therefore enabled a boom of new single-family homes, many of them in Estado de Mexico. In a city where the median household income struggles to break through $10,000 U.S., the homes had to be priced to be affordable. In Galaxia, though, there are a few houses for sale, but the block seems very much lived in. That said, without a doubt, the feeling is different from much of the rest of the city. The street I live on is the neighborhood’s main thoroughfare, before it peters out to a rough dirt road a block further down, and though it’s certainly the most populated space in the neighborhood, compared to much of Mexico City, or even the historic, commercial core of Cuautitlán a few miles away, it’s very quiet. Three hours after sunset, the street is empty, save for a couple teenager navigating the speed bumps on their bikes, blasting tinny music from a phone and dodging the last handful of peseros for the night. It’s a suburb, then. It’s not immediately identifiable as an example of the middle class neighborhoods I spent much of my young life in and around, but the patterns of living are strikingly similar. It’s a place for families to have their own space, to raise their kids in peace. It’s a formal neighborhood, its physical and political infrastructure laid in place by publicly traded corporations and elected government. People commute to work, and they return to their homes to cook dinner. Kids hang out, doing nothing with their friends after school gets out. If you grew up anything like I did, or you made the kinds of decisions for your family that my parents did, this should all sound familiar. In terms of artistic intent, the work that I’m producing here might look familiar as well. 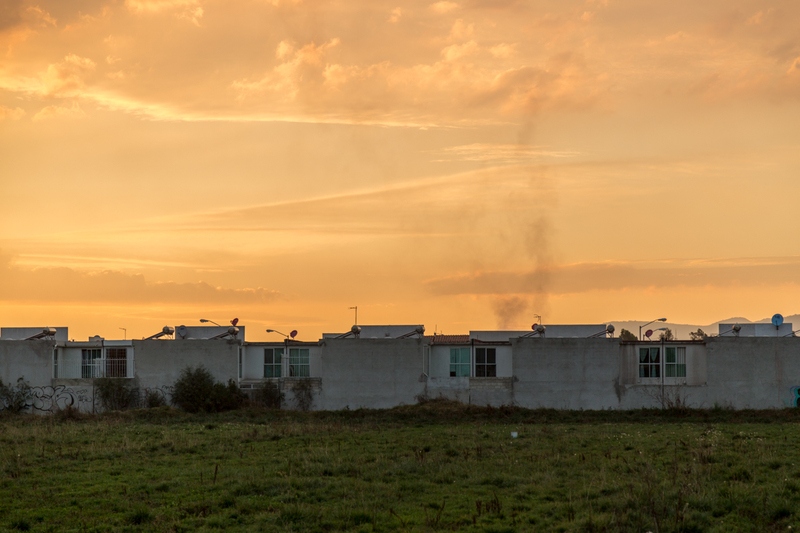 These places, like the perhaps more journalistically exciting (and dangerous) informal settlements to the east of the city, demand investigation. But this is a new phenomenon for Mexico as well, as indeed it is for much of the world. The couple that owns my house are from Iztapalapa and Milpa Alta, respectively—outlying districts in their own ways, but nothing like a suburb in the way that I know it, and that I can, in some form, recognize here in Galaxia. 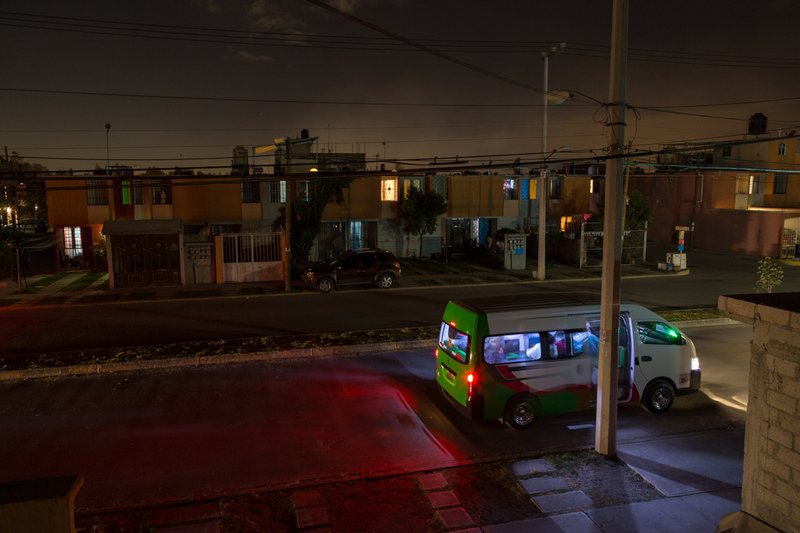 This is not to say that Cuautitlán feels familiar; it’s easy to feel isolated, in a strange place, or some kind of disorientation here. I’m tempted to chalk it up to being an outsider here, a foreigner, but I think that lack of familiarity is perhaps a part of the suburban experience as well. Hoping to meet some more people on the block, I asked my landlord if he knew anyone in the area, but after five years living on the block and driving a cab at the other end of the commuter train, he hadn’t yet gotten to know any of the other Galaxians.